Let's say one morning you wake up and realize that, yes, buying a home is the right thing to do for yourself. You're tired of throwing away money on rent and figure that it's time to get into a home of your own. But you have reservations. After all, if it's your first time, you've got questions. You might be a little nervous that you'll mess up, and it's normal to feel that way. You are probably spending hundreds of thousands of dollars and making the most important financial purchase of your life. Many people harbor secret fears about buying a home, and some of those fears are justified. Not everybody is cut out to own a home, and if you're one of those people, it's better to find this out now than when you're under contract. Renting vs. Buying: You might decide that renting is better for you than buying, because buying a home has its drawbacks. Reasons to Buy: On the other side of the coin, there are many more benefits to buying. Keep these reasons in mind if you start to get cold feet. Should You Buy a Home Before Getting Married? : Tips for home buying with a partner or significant other before tying the knot, plus how to handle the financial details of homeownership without plans to ever marry. Order a Free Credit Report: Give yourself time to clean up a credit report that contains mistakes. Dispute errors. Try to reduce your monthly debt obligations now by paying down those loan balances. Find a Lender: Check out places to get a mortgage and compare rates and fees. Start with your own financial institution, then interview a few mortgage brokers and choose a loan product you completely understand. Determine a Down Payment: The more you put down, the lower your monthly mortgage payment. Here are 12 places to find a down payment. Consider FHA Loans: FHA loans carry competitive interest rates, come with minimum down payment requirements and allow sellers to pay some or all of your closing costs. Get a Preapproval Letter: Showing the seller you are already preapproved for a loan gives you an edge during offer negotiation. Why Hire an Agent? :An agent with experience can help you to avoid making mistakes such as choosing the wrong home or offering too much. Find a Real Estate Agent: Start by asking your friends and family member for referrals. Make sure you are comfortable with your agent before committing to work with that person. Follow Protocol for Working With Agents: Here are 10 tips to prevent you from messing up or saying the wrong thing to an agent. First-Time Home Buyer Tips: Start your search online, and don't rely on print because most homes are not advertised in the newspaper. Preview Homes for Sale: Ask your agent to look at homes before showing them to you, and tour only those that fit your parameters. Avoid the Top 3 Home Buying Blunders: Protect your earnest money deposit by writing contingencies into your contract. Here's how to make sure you buy the right home. Top Three Negotiation Tips: Price isn't the only consideration. Sellers often accept lower-priced offers for other considerations. Facing Multiple Offers: If you really love the home, chances are another buyer will want it as well. Here's how to win your offer. Dealing With Counter Offers: It's common for sellers and buyers to negotiate back and forth through counter offers. What a Home Inspection Covers: Go through this list and make sure your home inspector doesn't miss anything crucial. Material Facts:Besides disclosing lead-based paint, which any home built before 1978 can contain, sellers should notify you of major defects. Do a Final Walk-Through: Always do a final inspection a few days before closing to make sure the property is in the same condition as when you agreed to buy it. Home Insurance: Shop for insurance rates carefully. Often, the company that insures your automobiles may offer you the best policy rates. Title Insurance Policy: You might think you don't need a title policy, but it's the cheapest form of insurance you can buy, and you pay the premium only once. 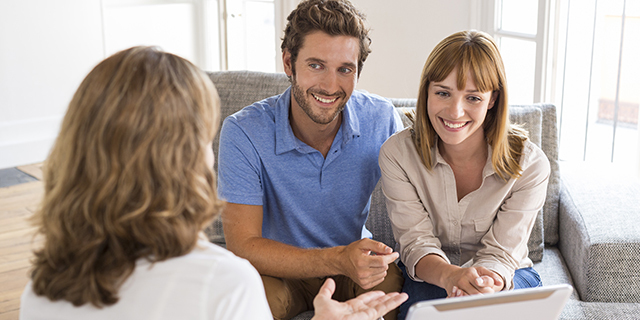 Home Buying Closing Process: This covers every step of the home closing process, from the beginning to the end.